together because they respected and accepted their differences. Then they came to Earth and amnesia set in: they forgot they were from different planets. 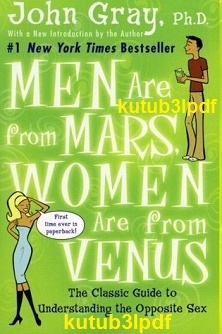 Based on years of successful counseling of couples and individuals, Men Are from Mars, Women Are from Venus has helped millions of couples transform their relationships. Now viewed as a modern classic, this phenomenal book has helped men and women realize how different they really are and how to communicate their needs in such a way that conflict doesn’t arise and intimacy is given every chance to grow!!! !